Why Does The Town Guard Need The PCs? If you can’t get your hair just right, try wearing this attractive Black Beast of Arrrggghhh hat. Long thought to be only an oral tradition, it was held that certain Scots, upon reaching the age of 19 years, 4 months, and 2.5 days, would mount an expedition to hunt the Black Beasts in the caves where they reside. If lucky enough to capture one, they remove the head, scoop out the brains and place the still warm cap upon their heads. Then, with the gooey bits dripping, they would proceed to dance traditional Scottish jigs around a roaring bonfire. While some refute this is a work of fiction, Toy Vault’s crack research team spent many, many, many days going from pub to pub to unearth this proud Scottish tradition, and after awhile believed it to be entirely true. It’s also worth noting that the ladies really love this Plush novelty hat. Volume four of the 5 Room Dungeons PDF was missing a paragraph from the The Sanctuary of Sumuho adventure. I updated the file Tuesday, December 4th 8 a.m. MST. If you downloaded the PDF before that time, please grab the latest version. To let you know a bit ahead of time, the e-zine will be on Christmas break from Dec 23 until January 6. I hope you have a great holiday season! Stave off seasonal insanity by having a game-full week! One element often overlooked in prison RPG game sessions is the NPCs. As with most adventures, NPCs are where the best gameplay lies, whether they are foes to defeat in combat, allies to make through diplomacy, or pawns to manoeuvre to achieve party goals. Following is a brief list of typical prison NPCs, derived from watching too much TV and too many movies. 🙂 Each NPC archetype comes with a few plot hook suggestions. If you have additional suggestions, please feel free to send them in for inclusion in a future issue. The warden is the boss of the prison. He is the head administrator, he sets policy, and he approves all decisions or delegates decisions as he sees fit. He also metes out punishments and promotion to special case prisoners and staff. Due to his position of authority and power, the warden makes a great villain NPC. Most citizens, and often most regional governments, prefer prisons to be out of sight, out of mind. This gives wardens great freedom to run their own little kingdom with a healthy supply of minions and labour. The warden runs the prison like a labour camp, selling goods and services produced on the open, grey, and black markets, and taking a skim of the profits. However, a senior staff member has discovered the warden’s secret and wants in on the action or he’ll turn the warden in. The warden is using inmates for horrific experiments for a nefarious purpose. Perhaps he’s trying to craft super- soldiers or a controllable, magic aberration. Mutated prisoners become enemies for PCs to fight as the party conducts an investigation, tries to escape, or crosses a plot of the warden on the outside. The warden is fighting a losing war against corrupt senior staff who are exploiting inmates for personal gain. He believes in justice, second chances, and rehabilitation, but his staff are so oppressive no prisoners are motivated to listen and change their ways. The warden, a guard, and a prisoner are in the midst of a deadly love triangle, and innocents are being harmed as they get in the way of a lovers’ war. The warden is training prisoners to become a lethal strike force, and he has plans for a coup or for carving out his own kingdom. Most prisons have some kind of political or institutional director. This can take the form of a political appointment, an inherited position, or assignment via jurisdiction or geographical location. This director we’ll fondly call The Governor, but it could be a committee, the King, the President, a bureaucrat, and so on. Classic roles in fiction have been staying or overturning death penalties, getting involved when situations spin out of control, and getting into schemes with the warden. The last is ripe for RPGs, as the governor can be a villain’s boss -the true power revealed as layers of the plot onion get peeled back. A new Governor gets elected, throwing a corrupt prison administration into chaos as they cover their tracks and set up political barriers. The PCs might be ideal scapegoats framed by the administration, or perhaps they are brought in by the ‘guv to determine who’s the ringleader and to get enough proof to gain a conviction. The Governor faces pressure, extortion, or death threats from a villainous organization to look the other way while crimes are committed at the prison. Perhaps the villain’s rivals are being murdered, or maybe a black market is being setup. Guards represent a significant force in the prison. In theory, they are the only ones allowed to bear arms and armour, and their training lets them works as a team, which gives them an edge despite being outnumbered. Guard staff tend not to be numerous, but should there be a large force, then additional leadership tiers might be required. Sympathetic guard. This guard has a soft spot for the PCs or the PCs’ side of the conflict. Before play begins, decide how far he’ll bend the rules, and if he’ll grant small or large flavours. As part of gameplay, this guard is often a piece of the escape puzzle. Nasty guard. A nasty guard makes a good minor villain, or presents set-back types of challenge for the characters. Either the guard has taken special dislike for the PCs, or he hates everyone equally. Punishes PCs indirectly by attacking what they value – friends, tools, relationships, advantages, reputation, location access, privileges, etc. Lazy guard. The lazy guard can be an advantage or hindrance to the PCs. Mr. Lazy might be lax about the rules, locking things up, or being alert. However, he could also let the PCs down, not bother to honour his end of any agreements, or be where he’s supposed to. A clever GM will motivate PCs to have to rely on the lazy guard, to create tension and additional challenge. Scared guard. This person fears the inmates, the other guards, or both. Alternatively, the guard fears a specific individual or circumstance. Smart PCs can discover the nature of the fear and ally with the guard for mutual protection or benefit, or be cruel and use the fear to their advantage. Note that scared NPCs can be unpredictable, and sometimes will show surprising courage when cornered, making them an interesting game element. Special guard. Be creative and look for ways to create special or unusual guards or guard units. A guard might be a monster, alien, cult leader, or robot. They might have special powers to catch the PCs by surprise, be part of the challenge, or offer an escape possibility. Corrupt guards extort prisoners for profit, or give certain inmates special privileges in exchange for bribes. Guards are disappearing and no-one knows where. The PCs must investigate either as prisoners in disguise, as an outside investigation unit, or perhaps a combination of both. The warden has leverage on a specific guard, and makes that NPC do all his dirty work. The guard would jump at the chance to be cut free of the warden’s strings, but the PCs would have to take action as the guard is scared to do so himself. A unit of guards knows a secret way out as they use that access to trade money from prisoners for illicit goods from an outside contact. One or more guards are aware of horrible experiments taking place on prisoners in the hospital ward, but are too afraid to speak up. A guard discovers gold or something special in the prison’s mine and tries to make a side business out of it. For self-defense, mutual protection, power, or profit, it’s natural that prisoners would organize themselves into groups. Gangs create great plot possibilities and obstacles for PCs intent on escape. In addition, if there are factions in your game world, chances are these seep into prison politics as well. Each gang will have a hierarchy whose pecking order will be constantly communicated and enforced. 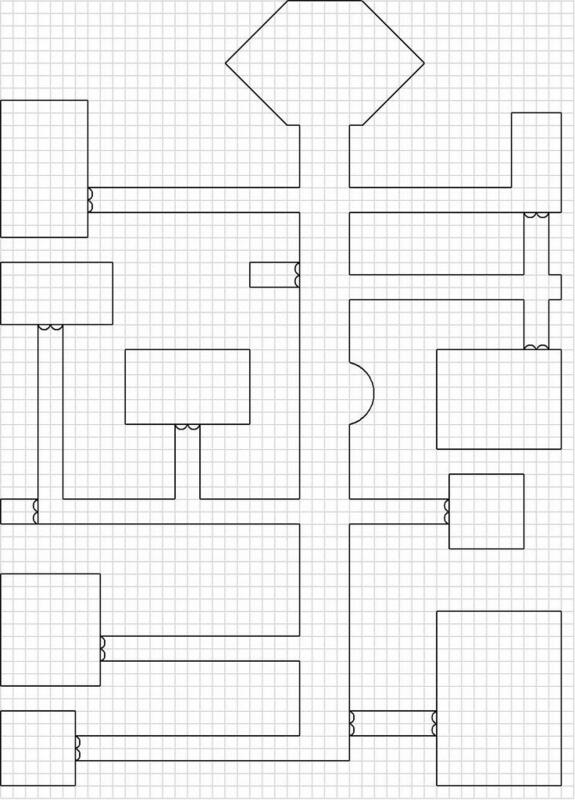 This provides GMs with many gang-internal plot hooks and encounter possibilities to keep prison settings interesting. Gang leader – could be an individual or partnership, calls the shots, maintains order to prevent civil war, must always guard position from rivals who want to be in charge, handles critical tasks personally, speaks for faction. Gang lieutenants – execute plans and deploy members, often are leader favourites but sometimes position is won through great ability, protect leader and faction interests, discipline flunkies, handle important tasks personally. Gang flunky – average rank and file member, does footwork for faction, takes the blame or consequences as required. Gang initiate – not yet a full member, might even be a targeted prospect, required to perform one or more tests to gain membership. Some inmates request to join a gang, and others do not have an option. Either way, membership is a catch-22 as it involves committing ongoing acts or crimes that make enemies out of rival gangs, gives the gang leverage over the inmate, and possibly extends the inmate’s sentence, giving the faction a longer period of service. Leaving a gang is not usually an option. One or more PCs are the targets of a gang initiate’s attack. Multiple gangs try to recruit the PCs. Refusal creates enemies and reprisals; acceptance requires committing new crimes for the boss. A lieutenant tries to ally with the PCs. He can use gang resources to assist the PCs if the party agrees to help the lieutenant become the gang’s new leader. The warden hires the PCs to learn the identity of a secret gang leader. The leader is not an inmate, but seems to have some sort of presence on prison grounds. The faction is growing in power, which is stirring up all the other factions, and a dangerous war is brewing. A guard lieutenant and his squad have become gang members. Due to the power of the faction though, nobody can act directly against the employees. The PCs are approached to deal with the problem, perhaps by the warden, or maybe by one or more other factions. Those trapped with the PCs in the prison should provide the majority of life and flavour in your adventures. They will come from all areas of life with different backgrounds, personalities, and motives. They can take on all roles, from ally to pest to enemy. Use the PCs’ fellow prisoners like you would for any game sessions – as interesting NPCs and important game elements. A prisoner confesses to the PCs he has an escape tunnel built and he’s almost ready to break out. However, the NPC has made a mistake and the tunnel leads to the guard room. A prisoner, who really is innocent, becomes the target of the Cruel Guard and asks the PCs for protection. A prisoner promises the PCs a large reward, which he can deliver, if the PCs help him escape. However, the prisoner is incompetent and jeopardizes the plan numerous times. Is the reward worth it? The PCs’ discover an inmate has learned the details of their escape plan. A shadowy figure was seen talking to the guards, and the overheard conversation included talk of the escape. However, the PCs don’t know the identity of the snitch. A prisoner can get the PCs some of what they need to break out, such as weapons or tools. However, the PCs must do a couple of things for the prisoner first, starting with avenging a friend killed by a certain gang. Two prisoners who hate each other start gathering supporters and planning retributions. This attracts the notice of the guards over time, bringing unwanted attention to the PCs activities in general. One or more PCs have skills needed by a group of prisoners involved in black marketeering. The PCs are approached with a deal. A jolly prisoner befriends the PCs but then his life is jeopardized when he learns a dark secret. A prisoner was framed and sent to prison. He must gather evidence of his innocence from other inmates at the same prison, and he beseeches the PCs for help. A corrupt administration wages gladiator-style matches between prisoners. Any prisoner or group who wins 50 fights wins their freedom. Will the PCs step into the ring, and can they survive the bizarre array of foes thrown at them by an increasingly desperate warden? Prisoners are being horribly treated by an oppressive administration, and some turn to the PCs to lead a revolt. A powerful prisoner, affiliated to no-one, is violent and will attack for apparently no reason. The Captain of the Guard has befriended the prisoner and now uses the NPC to control the other inmates. However, the NPC also has information or abilities useful to the PCs and must be approached somehow without triggering an attack or alerting the Captain. A prisoner receives odd visitors, and other inmates have begun speculating what he’s up to. By coincidence, a PC knows one of the visitors, and if contacted, the visitor will be very scared and refuse to speak of what is going on. An inmate is slated for the gallows soon, and he reveals to the PCs all sorts of interesting information, secrets, and plot hooks. At the final moment, his sentence is overturned by an appeal to the Governor. Now the PCs know too much about a dangerous criminal…. Next week, in part four of the Jail Break series, I cover escape, plot, and encounter tips for jail adventures. Also, two new cards for High Noon and three special characters. Plus, two blank cards for your own creations, and a special gift: a shiny new Sheriff’s badge. On the Dungeon Master’s Guild Yahoo! Group, a GM requested ideas for why a nearby town guard wouldn’t just go in and clear out the nearby dungeon that the PCs have been hired to deal with. Here was my response. Maybe an idea or two will be of use to you. A plague from the adventure site brought back recently by NPCs has made everyone violently ill for three months. The NPCs are nowhere to be found. The authorities are superstitious (perhaps with good reason) of the dungeon. The guard commander will only provide the PCs with volunteer guards. The number and quality of volunteers is…underwhelming. The local priests’ god(s) send them visions warning the priests and militia not to go near the dungeon. The dungeon is on contested land. If militia or temple trod upon it, the situation suddenly becomes political, which the king/baron/leader must avoid. The PCs must be regarded as independents doing their own thing without interference or assistance from local powers. There is a powerful creature guarding the entrance. It wiped out many of the militia and temple helpers during the first battle, and local leadership refuses to sacrifice more. Guards and priests are dispatched with the PCs, but then a messenger frantically catches up with news of attack, coup, or war. The troops must return immediately. In many places, policing is a separate branch from the military. One handles internal matters, the other external. It depends on the leadership type of the city. Leaders fear powerful generals and will often not let military troops within a certain distance of the city borders. The city guard/police over time becomes specialized in urban conflict management while the military becomes specialized in battling other armies and dealing with regional threats. Neither group’s training is likely to include dungeon crawls. Unless there is compelling reason to take the risk, leaders of any force are not willing to sacrifice trained, equipped, and valuable troops/guards to launch an expedition. For priests, mages, and guilds, there will be members powerful enough to be able to crawl with the PCs. However, these types are most likely to hire a solution, like the PCs, rather than sacrifice precious members. There is a curse or prophecy dooming those who venture into the bowels of the dungeon. This scares off most options for hirelings. A traitor poisons everyone the night before they are to enter the dungeon. The PCs are treated as outsiders and aren’t invited to eat with the militia, so they are spared. The cook mysteriously disappeared in the night. The militia agrees to go but only if the PCs take point. The guard require 75-90% of the loot as the price for help. A couple of powerful NPCs volunteer to help and go with the PCs to the dungeon. It turns out the NPCs were over- confident or lied about their abilities and they fall quickly. Rivals get a head start and bring back stories during a rest and re-equip stage about how easy the dungeon is. The guard scoff at PC requests. I use Dia, a diagramming tool, to create maps. It’s easy to use. Here’s an example. To create this map, I used the line and arc tools, and I set the “snap to grid” option on the preferences menu. To create a grid, I created a separate layer with the lines in it. The Dia source file for this image is here. You can get Dia here. A reader in Issue #382 asked about free-form combat and I have a suggestion I’d like to share. With this method, all rolls can be accomplished without dice and without changing any existing rules. If the character is making an attack and the game mechanic calls for a d20 roll, have the GM count to 3, and right after 3 have the player and the GM both say a random number between 1 and the maximum number on the die, in this case 20. For example, the player might say 20 and the GM might say 1. You then add the numbers together. If the result is more than the number of sides on the die, subtract the maximum number of sides on the die. To continue our example, the player chooses a 20 and the GM chooses a 1 for a total of 21. You are trying to roll a d20 so you subtract 20 from the combined total, resulting in a roll of a 1. In my campaign, that’s a fumble, and the PC will be displeases and will probably feel duped. So, be sure you practice this a few times before you start using it. For the second trial, the PC picks 18 and the GM picks 5. The total is 23, so subtract 20 and the result is a 3. On the third try, the player gets desperate and picks a 10, the GM tries to be crafty too and picks a 7. The result is 17, and since this is less than the maximum number of sides on a d20, the result stands as a 17. To roll a d10, have the GM and player pick random numbers between 1 and 10, add together and subtract 10 if the value is greater than 10. Any random number can be generated in this manner. It’s worth noting that, over time, GMs and players learn to anticipate the other’s number picking pattern, which reduces the random nature of this method to a degree. To offset this, you can add a third person to the guessing game. This leaves the possibility that you will have to subtract up to twice the number of sides on a die. For example, if the GM and each player picked 18, 19 and 20 respectively (on a d20), the total would be 57. Subtract one d20 and you get 37…still too high. Subtract another d20 and your roll is a 17. I have an alternative way of creating characters for games. 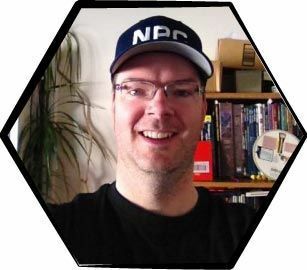 It boils down to this: every time I play D&D, the first day is almost always devoted to just character creation, and by that, I mean mostly dice rolling and figuring out what kind of character that people want to play. Even with veteran players, at least half the session is spent on character creation. So, I came up with a way to roleplay the character creation. This way, the characters can be developed along the way, and all the players can get involved in-game. In my recent campaign, the kingdom is preparing for a great war with an unknown source of evil, so it has been recruiting all kinds of people from different aspects of life. Players can decide on a simple background on how their PC came to be there, whether they were a simple farmer looking for an adventure or a prisoner who is trying to earn a pardon. Test of Strength – one at a time, each player rolls dice (4d6, counting the 3 highest only) to see how much weight they can handle. Test of Dexterity – dice rolls determine how long they can stand on a balancing beam. Test of Constitution – dice rolls determine how long they can stay in a sauna before passing out from the extreme heat. Test of Intelligence – dice rolls determine their score on their written exam. Test of Wisdom – dice rolls determine their score on their psychological test (had a little trouble coming up with this one). Test of Charisma – dice rolls determine their score on the talent show competition. The players are encouraged to sing a song, recite a short poetry, tell a joke, dance, or any other performances as such for the GM and the other players, with the possibility of bonus xp for great performances. The players may choose a race before starting with their proficiency tests to adjust ability points as the go along, and unless they botch the roll badly, as in all 1s or something, I encouraged players to accept “flaws” as part of their characters. Alternatively, they could “re-take” up to two tests once, but at the penalty of -1 to a random ability point at the discretion of the GM. This method might be frustrating to players who are adamant about what type of character they want to play, but I think it also gives them interesting and unique challenges to work with. As for the other stuff, like feats and skills, I designed my first session to be like a boot camp for the characters. The people I was play-testing this with loved the idea, since it gave all the players something to do together, instead of the veterans sitting around waiting for newer players to finish character crafting. It also gave newer people the opportunity to get into the feel of the game very early. I hope that this idea has been helpful in speeding up initial gameplay, and spicing up the character creation process.